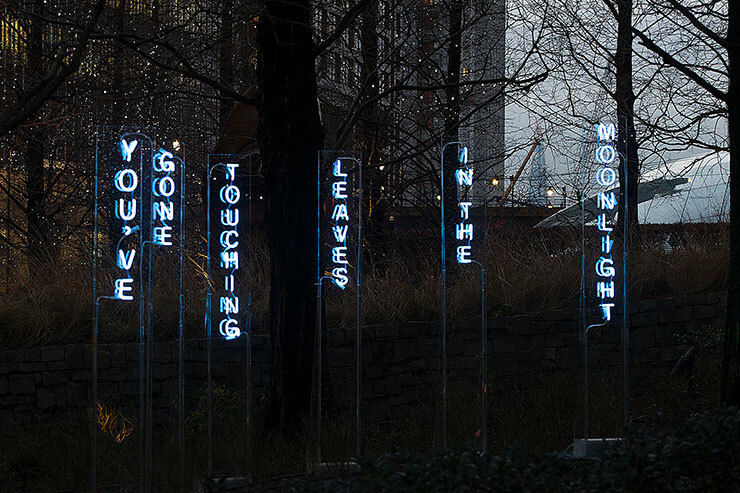 UK-based Light and Text Artist, Elisa Artesero, was commissioned to create ‘The Garden of Floating Words’ for the Canary Wharf Winter Lights Festival, London, UK, 2017. 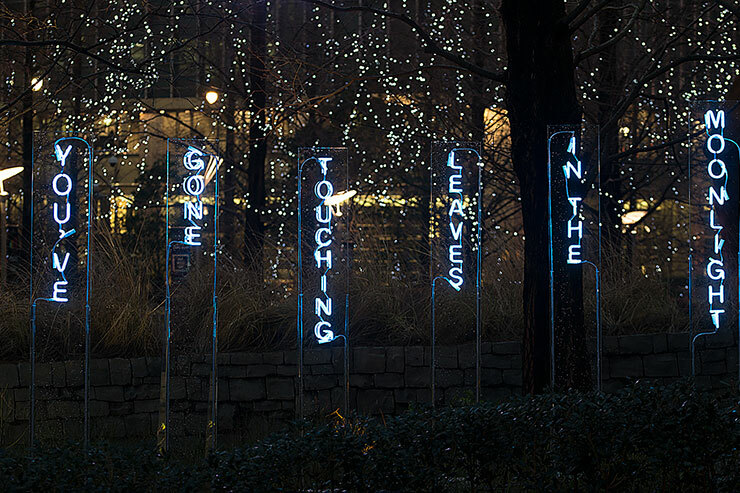 Emerging from within the foliage of the Jubilee Gardens during the month of January, a cluster of glowing words forming a poem appeared to be floating in the dark. 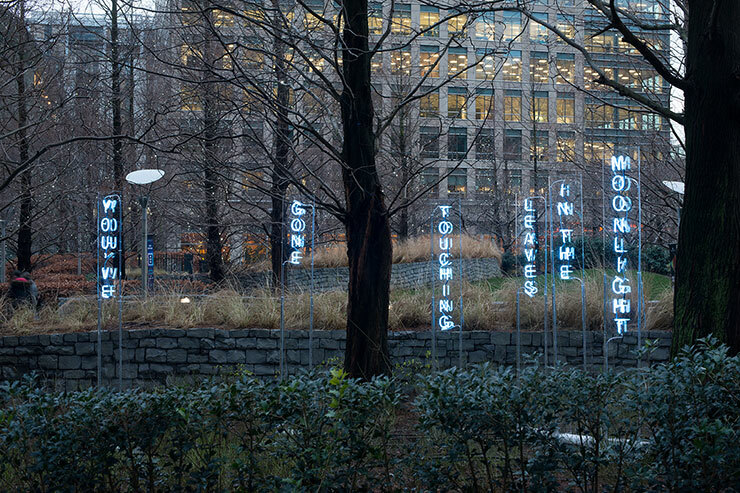 Using neon, a light source traditionally associated with the city, Artesero created something ephemeral to make a space for quiet contemplation within the busy complex. 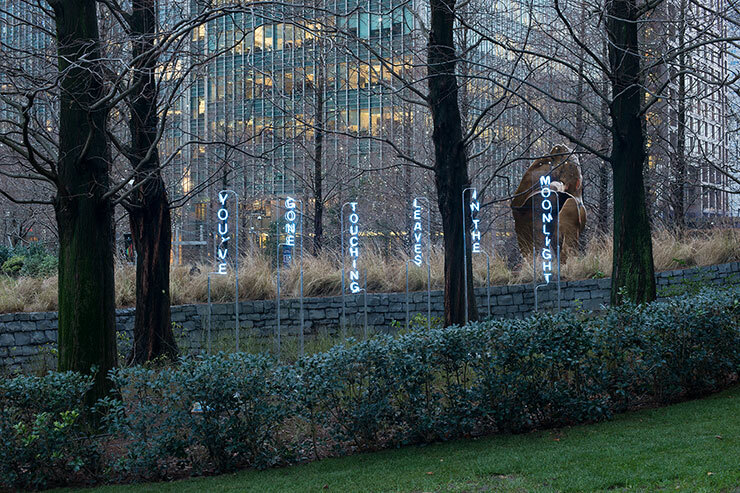 During the daytime the words were revealed to be on tall rectangular clear acrylic stands, their structure echoing the tall buildings of the surroundings; but at night the words alone became the main feature, giving the effect of floating words. 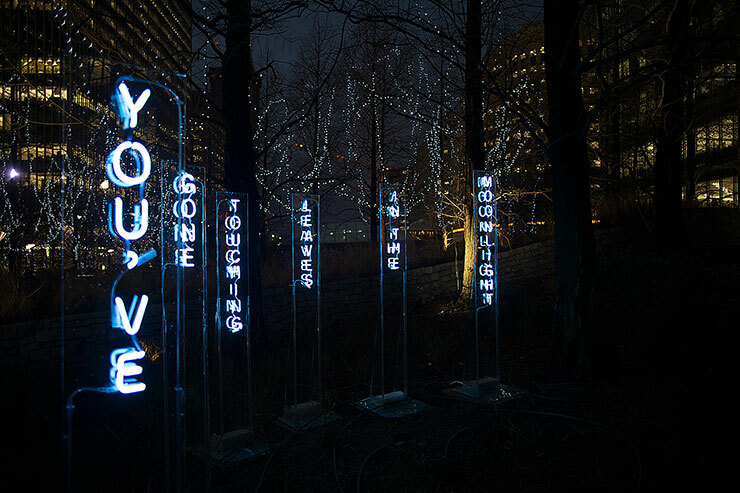 he poem (written by Artesero) hints at a story for within the garden. 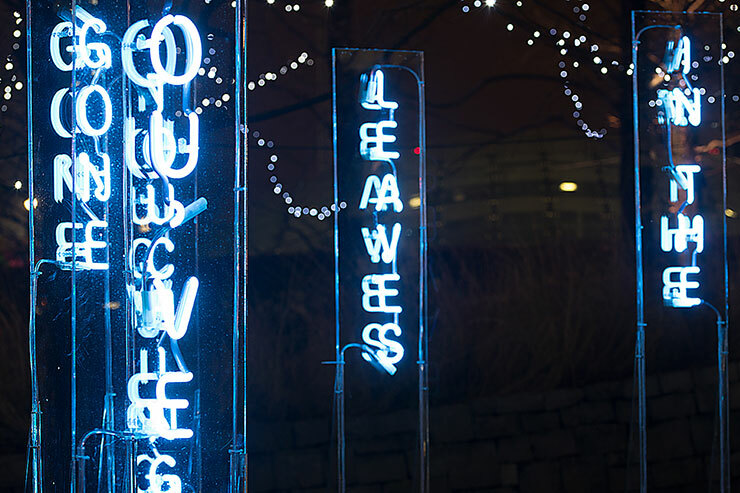 It connected with visitors in different ways: many felt it was a message of hope to all; others felt a more personal connection to the words/story. 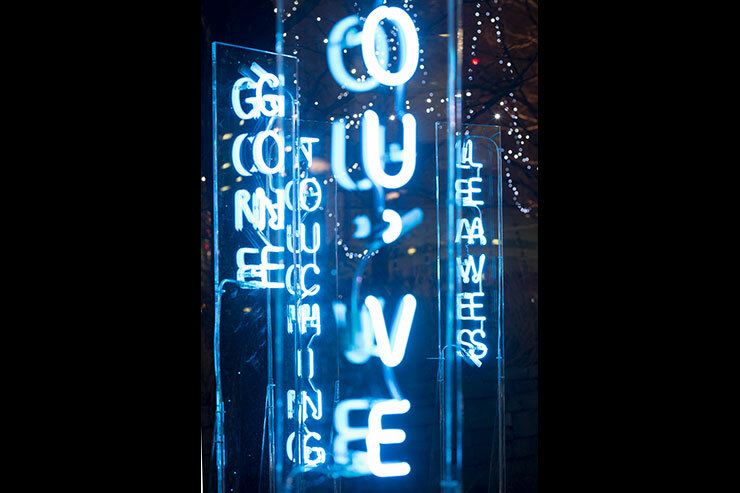 Whichever message was taken from it, it served to create a pause in people’s journey, and a moment of contemplation.